Learning how to read crochet symbol diagrams will make your crocheting faster, easier and more accurate. This class shows you how. 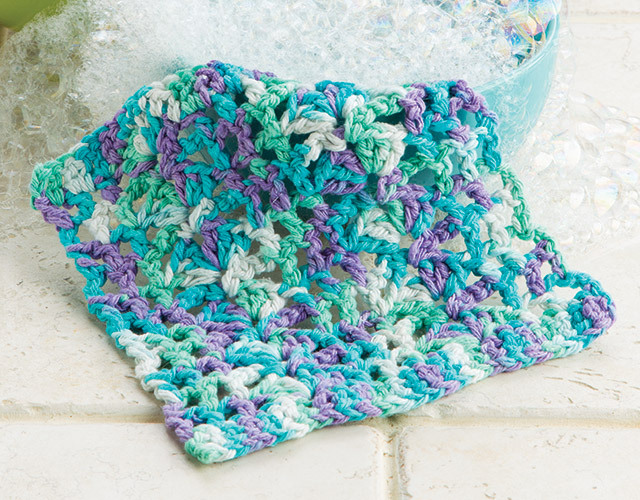 How would you like to crochet faster, more easily and more accurately? Knowing how to read crochet symbol diagrams can help you achieve all that -- and more. Symbol crochet diagrams are the universal language of crochet. This means you could literally read a pattern written by a designer from another country with ease! Learning how to read crochet diagrams starts by learning the simple symbols for the basic stitches. Diagrams simply place these small symbols in the order in which you stitch them, creating a visual "picture" for you to follow instead of line-by-line written instructions. But don't worry -- this class also includes the patterns written out word-for-word so you can learn at your own pace. Recognize all basic crochet stitch symbols including chain, slip stitch, single crochet, half double crochet, double crochet and treble crochet. Read crochet symbol diagrams for projects worked in the round. Read crochet symbol diagrams for projects worked in rows. Follow a crochet symbol diagram to make increases and decreases. 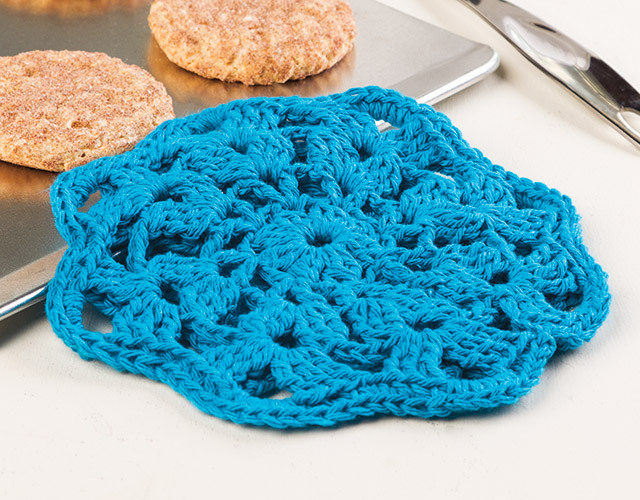 Make five exclusive crochet projects working from symbol diagrams. 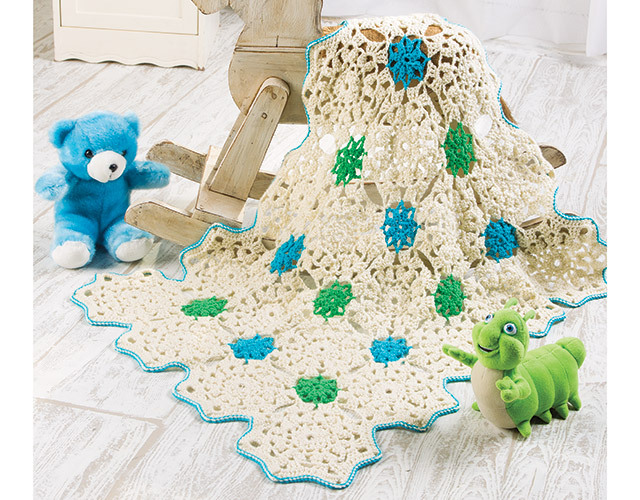 Class includes complete instructions to make three exclusive projects plus two bonus exercise projects: Easy Octagon Motif Hot Pad, Cuddle Time Baby Blanket, Textured Stripes Reader's Wrap, Shades of Seaglass Dishcloth and Water Lily Shawl. Love the class and love the camera work, which is soooo important. Great teacher and I have most of her classes, which are so easy to understand and helpful. I am really enjoying this class. I've been crocheting for over 35 years and was able to learn something new even after completing the first simple project. I have many crochet magazines I have not been able to use because I could not decipher the diagrams. Finally, I am learning. Some of my magazines only have diagrams (not even full diagrams) and no words so I'm hoping after this class, I can attempt one. The instructor is very clear and pleasant. I purchased another of her courses. Ellen is an excellent teacher with a very pleasant and informative manner and is certainly a great resource. Like Ellen herself, I too wished to be able to use the many charts on line, especially those provided by skilled crochet designers in places such as Japan, Russia and eastern Europe. After watching this video, some of these charts are now more accessible, but the complexities and asymmetry of many others, often festooned with multiple arrows, make it very difficult to even know where to start! The charts provided by Ellen (both linear and circular) were very clear and explicit and she explained these well but I would love her to do a sequel on how to read more complicated charts as there remain so many wonderful designs that are still very hard (if not impossible) to decipher. There is a wonderful seahorse, for example, that I would love to make but I still don't know how to approach it. So Ellen, if you want to do a 'follow up', I would be very happy to learn more. There are many fantastic aspects of this excellent class! One of the coolest was learning a double crochet color join. 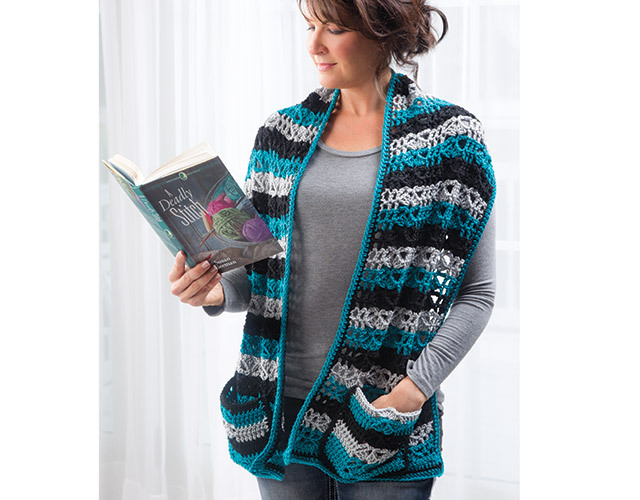 The reason I signed up for the class was my frustration with crochet patterns written in another language that were accompanied by charts (which I couldn't read either), or just charts--all of beautiful motifs that I could not work. Not any more! I am going back to those patterns with confidence! The instructions were clear and understandable. When instructions/crocheting were faster than I could keep up, I simply paused the video until I caught up with the instructor. It wasn't that Ellen was too fast; it was more a matter of my dexterity or lack thereof. Helpful, but repeat section left me a little confused. It was shimmed over somewhat. But other than that helpful.